It's not what you push...it's what pushes you! That's our motto, and we back it up. Sportaid offers a plethora of hi-tech mobility scooters that guarantees supreme comfort and independence for you. The lightweight scooters from Invacare, Pride Luxury Scooters, and Pride Value Line Scooters are expedient and effective for both indoor and outdoor use. 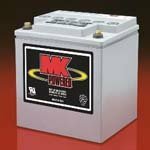 We offer great relief and reliability with our user-friendly mobility scooters, and we even provide the best deals on MK Batteries for Mobility Scooters. With features like soft, adjustable swivel seats, unique lighting system, powerful motor, and attractive designs, the scooters at Sportaid make for an effortless and enjoyable drive. 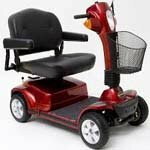 Whether you are looking for an Invacare Electric Mobility Scooter or a Pride Luxury Scooter, Sportaid has the price, selection, and customer service that will leave you pleased every time. And with our Low Price Match Promise on all wheelchairs, you really will come out on top big time! Browse through our huge selection of Electric Mobility Scooters below or feel free to call 1-800-743-7203 for help purchasing your mobility scooter today. You'll be glad you did! At Sportaid, you can save up to 47% on Mobility Scooters! Find the Right Electric Mobility Scooter for you! 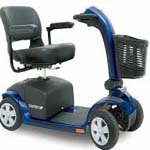 Invacare: - Sportaid brings you a wide range of mobility scooters from Invacare, the global leader in providing medical care products. Invacare's well-built mobility scooters offer ease and comfort at competitive prices. You can opt Inavacare Mobility Scooters or Pride Luxury Mobile Scooters. Our expert staff will guide you on choosing the right equipment for your specific needs. Pride Luxury Scooters: - Pride Luxury Scooters offer excellent mobility devices with focus on safety and reliability. For your complete safety and comfort, Sportaid offers a vast range of various models of Pride Luxury Scooters like the Pride Maxima 3 Wheeled Heavy Duty Luxury Scooter, Pride Maxima 4 Wheeled Heavy Duty Luxury Scooter, Pride Pursuit PMV, Pride Pursuit XL PMV, and more. You can easily select the desired one with the help of our experienced team. Pride Value Line Scooters: - For ultimate comfort and convenience, opt for Pride Value Line Scooters. The mobility scooters from Pride's Value Line let you enjoy a controlled and sturdy drive. Its 3 and 4 wheel models like the Pride Victory 10, Pride Go-Go Elite Traveler, and the Pride Go-Go Ultra X make for a smooth and enjoyable drive. Sportaid's team will help you in selecting the best model according to your requirements. Whether you are a new customer or someone who has been with us for a while, we guarantee satisfaction. After over 25 years in the business helping people find the appropriate Electric Mobility Scooter at the lowest prices, we continue to lead the industry! We are capable of beating any competitor's advertised price, just call! Our customer service staff has over 50 years of experience, plus over 90 years of combined wheelchair use experience. We look forward to working with you!